Women are making strides in supporting one another in entering and staying in technology fields. Come and hear the women leaders have a candid conversation on what needs to be done to continue to solve the gender gap in technology careers. What socialized behavior and habits do women have that are different than men in the work place? Can these hold women back? If you have ever found yourself or your women colleagues be hesitant about asking for raises or promotions, shy about self-promotion or reluctant to point out their own achievements, come listen to concrete advice from women who have paved the way in advancing careers in a male-dominated industry. Immediately after the panel, please join us for Noon Mixer! Girls in Tech will host an informal networking mixer at noon immediately following the panel discussion. Apply the panel’s advice right away by meeting recruiters, tech leaders, and other leading professionals in the tech industry. Bring your confidence and business cards to really make an impression! This is a free event, register now. Laura Slezinger M.D. Girls in Tech, San Francisco & GIT Global Corp. Dev. Laura has a passion for the intersection of law, technology and the creative, entrepreneurial spirit. She wants to enable others to create what they want to see in the world around them- via technology, law and innovation. She is also a fervent champion of advancing women in all areas of business and leadership – and believes society as a whole will benefit from the increased engagement of women across all industries. She received her J.D. from the University of San Diego, School of Law where she was Editor-in-Chief of the law school newspaper. She was Fundraising Chair for the Women’s Law Caucus and hosted a record breaking charity auction to benefit a local women’s domestic violence shelter. As the Vice President of Marketing for the Anita Borg Institute, Jerri is responsible for the Institute’s overall branding, public relations, social media, collateral, program marketing and out bound communications. Jerri Barrett came to the institute after 20 years in the telecommunications industry with experience in both large corporations and startups. Prior to coming to the Institute, Jerri was Director of Marketing for IP Unity, a Silicon Valley startup and managed the communications for their merger with Glenayre in 2007. Before that Jerri worked with a variety of companies in marketing positions including Nortel, Frontier, CNET, Inc., LinkAir and HighWired. Jerri holds a Bachelor’s degree from Mount Holyoke College and an MBA from the William E. Simon School of Business Administration at the University of Rochester. Irina joined Microsoft immediately out of college and has been with Microsoft for almost 10 years working on a wide gamut of products including MSN Mobile, Photography, Social experiences and Xbox Live services. Irina has developed large scale Social Gaming services platform based on Azure and authored an application model for distributed systems. She is currently working on large scale real-time monitoring and diagnostic solution for Xbox 360 Services. Irina graduated from University of Washington with a Computer Science degree. She resides in Seattle with her husband and two very energetic sons ,Jesse 6 and Jacob 8 that keep her very busy outside of work. Awesome Turnout! Can't wait till next year! Thanks to Everyone from Girls in Tech! Tell us more about your keynote presentation tomorrow? I’ll be sharing more about how the open source has been changing in the last 3 years. I’ve been doing this for 6 years now in open source; I will give an overview how Open source is growing. A couple years ago were about licenses. Last year was about languages and now it’s about licenses, languages and people. It’s more entertaining now. In this short, weensy eensy, talk, Chris will give an update on how open source has changed over the last three years. Is Ruby growing? Actionscript? Or is it all PHP all the way down? How’s gplv3 doing? Agpl? MIT? Will the Nasa open source license domainte? Come and find out! You are one of the most accomplished individual; what can we learn from you? I was actually a very bad student; I wish I would’ve paid more attention earlier then I wouldn’t be in this much farther along. It took me a while to straighten up. Which sessions are you most excited about? Tuesday night-Ignite was a blast. Today is all about press. What would be a single take away for the attendees that you want them to gain from your session/keynote? Open source is vital. Tons of exciting resources. It’s a place for us to hack. More importantly there are billions of codes out there to be used. Many people have never used them before and I think everyone who has a computer could use it. Is this your first time being part of Oscon? No, I’ve been here before. I like leaving for another city though. It gives me a reason to get out from my town every so often. What’s current device that you couldn’t live without? So what’s next for you your team? Any exciting development? More data, more code… and more of everything. Eucalyptus Systems delivers private cloud software. This is infrastructure software that enables enterprises and government agencies to establish their own cloud computing environments. Goldman Sachs, Wells Fargo Securities, Gartner and other prominent observers of the technology industry predict that cloud computing is the most significant IT shift of this decade. CEO of Eucalyptus, Marten Mickos builds global disruptive businesses. As CEO of MySQL AB for seven years, Mickos grew that company from a garage start-up to the second largest open source company in the world. After the acquisition by Sun Microsystems of MySQL AB for $1bn, he served as Senior Vice President of Sun’s Database Group. With Eucalyptus, customers make more efficient use of their computing capacity, thus increasing productivity and innovation, deploying new applications faster, and protecting sensitive data while making savings in capital expenditure. Eucalyptus is an open source solution that originates from an NSF funded research project at University of California, Santa Barbara. The open source model is generally considered a superior way of creating infrastructure software. Innovation is faster, users and customers have more freedom and flexibility, lock-in is avoided, and secondary benefits accrue from the massive ecosystems that naturally evolve around the most prolific open source products. You are one of the most accomplished individual and successful CEO; what can we learn from you? Wait, why didn’t you like me before “I was accomplished”? No one is born to be accomplished. People should not be afraid of being successful. It is such a great inspiration. I knew nothing about open source and decided to learn about it. There is always first for everyone. We all should define our own success; so don’t be afraid to be successful is the key. Being an entrepreneur yourself, what can you tell those folks out there who would have the desire to start something small and to grow bigger? What’s next for Eucalyptus Systems? We are expanding. We are a team of 25 and growing tremendously. We are hiring team of engineers, business and more for an additional 20+. We are also developing a testing lab for our products. We are building stronger in offering and more in partnership; we are fine tuning our strategy. Is this your first time being part of Oscon? If not, then how’s it different from previous years? No. I’ve been here since 2002. I would say it’s much bigger now. This convention is steering toward the open source fanatics. What’s a current device that you couldn’t live without? 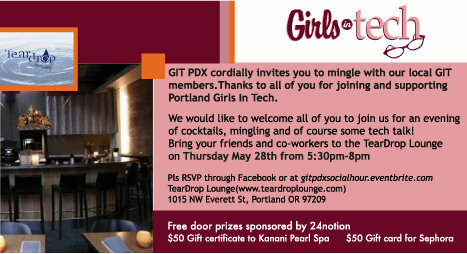 This year 24notion and Girls in Tech Portland is the partner/co-sponsor of National Center for Women & Information Technology. NCWIT believe that inspiring more women to choose careers in IT isn’t about parity; it’s a compelling issue of innovation, competitiveness, and workforce sustainability. In a global economy, gender diversity in IT means a larger and more competitive workforce; in a world dependent on innovation, it means the ability to design technology that is as broad and creative as the people it serves. 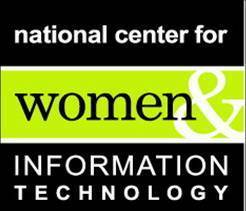 The NCWIT Symons Innovator Award promotes women’s participation in information technology and entrepreneurship by honoring an outstanding woman who has successfully built and funded an IT business. 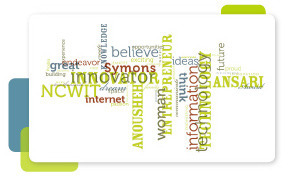 By recognizing women IT entrepreneurs, the NCWIT Symons Innovator Award hopes to inspire others to pursue IT entrepreneurship, and increase awareness about the importance of women’s participation in IT innovation and business. This year, we are please to announced the 2010 NCWIT Symons Innovator Award Winner is Kim Polese, CEO of SpikeSource, Co-founder of Marimba, and the original product manager of Java at Sun Microsystems. Be sure to join us for the 2010 NCWIT Innovator Award celebration, 6:30-8:30PM, Thursday, May 20, at the OHSU South Waterfront Atrium in Portland, Oregon. Many thanks to our local host, the Software Association of Oregon, guests will enjoy fine cocktails and decadent treats, the lovely musical styling of local vocalist Sarah Billings, and the opportunity to ride Portland’s famous Aerial Tram to experience a breathtaking view of the city at night. We invite you to purchase tickets early as space is limited at this venue. Girls represented just 17 percent of Advanced Placement computer science (CS) exam-takers in 2008; that’s the lowest female representation of any AP exam. In 2008 women earned only 18 percent of all CS degrees. Back in 1985, women earned 37 percent of CS degrees. Women hold more than half of all professional occupations in the U.S. but fewer than 24 percent of all computing-related occupations. Only 16 percent of Fortune 500 technology companies have women corporate officers. A study on U.S. technology patenting reveals that patents created by mixed-gender teams are the most highly cited (an indicator of their innovation and usefulness); yet women were involved in only 9 percent of U.S. tech patents. On Thursday night 10.22.09, Girls in Tech Portland (GIT PDX) hosted an event for inspirational speaker, Katherine Durham, Vice President of Marketing, Imaging & Printing Group, Americas, Hewlett-Packard. The event started off with social networking among women with backgrounds in technology who reside in Oregon. We had a great mix that included engineers, developers, social media specialists, marketing and PR professionals, entrepreneurs and others. The evening ended with a great presentation and Q&A during which Katherine shared her passion for the HP business and connecting with end users. Katherine started off by sharing her background and then quickly dived in to how to shift the digital marketing and technology mindset to harness the power of an integrated approach. With constantly emerging digital trends and a new media-mix landscape, how does HP harness these trends and measure success? Effective marketing has remained the same for years: connect the right customers with the right message at the right time and in the right place. What’s changed is that consumers are spending more and more time connecting through social networking, video and mobile. In fact, consumers are now devoting more time online than to any other media, averaging a total of 14 hours/week or more. This amounts to more than 40% of their free time. In the last year, microblogging and social media sites such as YouTube, Twitter, Facebook, Wikipedia, Blogger, Baidu and more have exploded in popularity. Video and mobile technology trends all continue to point up. There is huge opportunity if you look at total media consumption vis-a-vis the total U.S. advertising spend. HP concentrates on maximizing the cross-channel shopping opportunities online, in-store and via advertising. This creates a synergy that delivers results. Take “Pioneer Woman,” one case study in success. The campaign features Pioneer Woman, a blogger with a growing following. HP reached out to her niche audience by having Pioneer Woman show how she incorporates HP solutions into her life. By leveraging this already-existing social community, they were able to bring more credibility to the message, in that the audience is not being told what to do, but is having information shared with them. One key takeaway from the HP social networking presentation was how important and effective it can be to find ways for your brand or business to share and collaborate in the social media space. Digital AND social media are the future…how do they work with and impact other assets?